Today is Labor Day, that paradoxical day when we in America celebrate hard work by taking a day off. Well, most of us. Here at Chocolate Book, we, in the words of nerdcore rappers Mega Ran and Adam WarRock, “never take a day off, not even bank holidays.” Okay, not literally, but I wanted to share a link to their music because it’s excellent, and also because I wanted to raise the questions: how do you strike a balance between work and rest? How much work is a recipe for burnout? How much rest is just being lazy? I first started thinking seriously about the Sabbath in high school, when my dad offhandedly pointed out that the fourth commandment doesn’t just command us to rest. It also states, “Six days you shall labor and do all your work” (Exodus 20:9). Since then, as I slowly and painfully developed an actual work ethic, I’ve been asking questions about what constitutes work and when it’s good to do it or not do it. After I recently finished Walter Brueggemann’s Sabbath as Resistance: Saying No to the Culture of Now, a friend suggested I do a study for myself of the word “Sabbath” in the Bible. So we’re going to put the Psalms on pause and do exactly that. Based on the entries from Strong’s Concordance linked above, the Sabbath is basically a command to stop working for one day out of the week. God himself is presented as the model for observing Sabbath: “For in six days the Lord made the heavens and the earth…and rested on the seventh day” (Exodus 20:11). We can identify work by what it produces; in God’s case, his work produced everything, and on the seventh day he ceased productivity and rested. 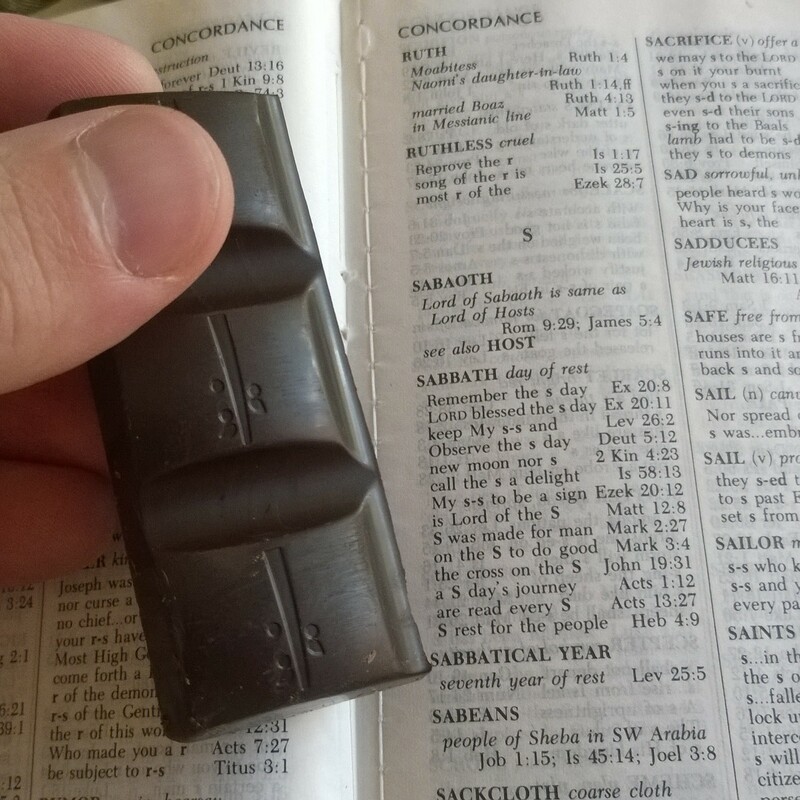 I’m not one who thinks that we need to keep the Sabbath slavishly or legalistically. But we’ll get into the details of the purpose of the Sabbath and how it can interact with our lives as we continue this study. If there’s one takeaway from today’s passage, it’s this: we need rest. We can’t keep working 24/7, we’ve got to take time to recharge. And we can go roughly six days before we need to take a day off. Question of the Day: How would you summarize the Sabbath commandment? What has been your experience with Sabbath? Posted in Exodus, Sabbath, Topical Studies.Tagged bible, christianity, commands, creation, Exodus, Sabbath, scripture, Ten Commandments, word study, work.